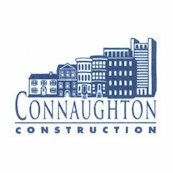 We had an incredible experience with Connaughton Construction. We fully gut renovated a South End brownstone (down to the brick, new electrical, HVAC, plumbing, floors and subflooring, etc.). >$1M project and ~12 months. The team kept the job on time and on budget and were a PLEASURE to work with, and honest!